Bob Vardaman offers full-service event planning for both large and small-scale projects. Regardless how large or small, whether a quiet cocktail reception or a mega –blowout – Bob transforms the space, to turn it from a location to a sensation. Originally from Columbus, GA, Bob arrived in Montgomery after studying at the American Academy of Dramatic Arts in New York to work as Company Manager at the Alabama Shakespeare Festival. 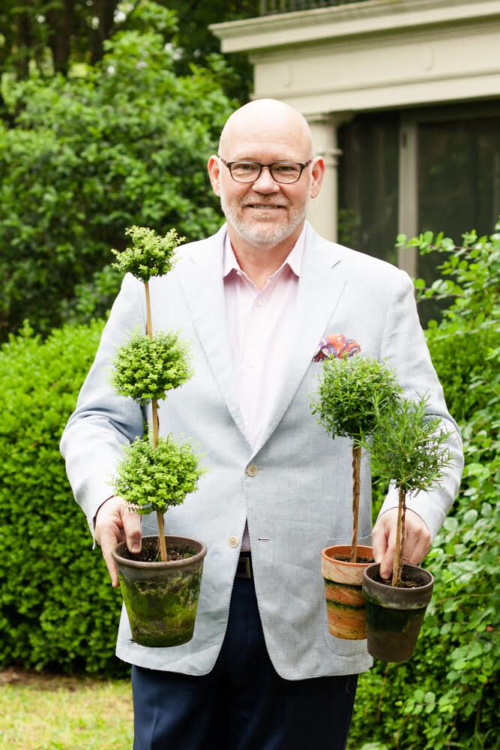 This began a relationship with Red and Carolyn Blount that introduced him to the art of entertaining and has led him into his twentieth season as an event planner. His events have been published in SOUTHERN LIVING, FLOWER MAGAZINE, I DO, ALABAMA BRIDAL and SOUTHERN VIEWS MAGAZINE. His wedding designs are sophisticated and elegant, complementing the bride and grooms personal vision. His corporate events are creative art forms, helping to raise awareness with powerful stories. His fundraisers are dramatic and memorable raising millions of dollars for charities. Bob understands the big picture. Please contact Bob with your event interest. You are cordially invited.